Conversation between chief editor of “Tomorrow” Mr. Prokhanov and Mr. Igor Strelkov, former Defense Minister of Donetsk People’s Republic. Igor, the other day I was in New Russia. And returning, he began to believe the witness what war is. Turns out, the sixteenth. Starting with Damansky, Dzhalanashkol, Afghanistan … Donetsk, Lugansk – sixteenth campaign. And each of these wars is not even his face (which is like a person – every war). And this is some substance that has its subjectivity, its destiny, its development, its memory. Do you feel that war has some features that go beyond the technology of war? How would you describe the Donetsk war in its phases, stages, experiences? This is my fifth war. There were two Chechen, Transnistria and Bosnia. I want to emphasize its similarity – scenic similarities – from the Bosnian war. Start of the Bosnian war is very similar to what happens in the New Russia. When Yugoslavia broke up and began the parade of sovereignty of the Republic of Serbia, some regions did not want to go to the Muslim Croat Federation and revolted. These republics Bosnian Muslims, Croats suppressed by armed force. And then to help them come Yugoslav People’s Army, but was stopped by Sarajevo under Vukovar, Dubrovnik under. Stopped not because they met serious resistance, but because it could cause the direct intervention of NATO. The army was withdrawn and left their weapons to the Serbs. Now the situation is very similar. And God forbid that it just ended. Because when the JNA left, the Serbs could not organize. Then there was a very long, exhausting war. And then she quickly ended – Croatia defeated each in turn. But there is the factor of violence. NATO troops and the troops began bombing … And this war as developed in phases? At first, no one wanted to fight. The first two weeks were held under the banner of the fact that both sides wanted to convince each other. First days in Slavic and we and they are very cautious approach to the use of weapons. The first encounter was with the SBU, which we tried to clean up, but fell into an ambush. Not even quite an ambush, and head-on collisions, to which they were not prepared. Suffered losses and cleaned. Then it was quiet. Ukrainian side began to put roadblocks in our surroundings appeared 25 airmobile brigade. But she was not eager to fight. We managed to disarm first reconnaissance platoon, then the column. It was precisely disarmament – a submachine gun, threatened with burning equipment, they did not dare to join the fight and we were disarmed. But still a long time we did not touch their roadblocks, and they do not show aggression. These are the first steps. Then “right quadrant” started throwing us subversive groups – started a firefight. More National Guard under was not – only the “right quadrant.” The Ukrainian side very carefully behaved, step by step palpated as Russia will behave. The first month was not the shelling of the city. The first firing Slavic – at the end of May. Before they shelled the villages, but he did not touch Slovyansk. But as they knew that Russia does not respond, the shelling became more powerful, the actions of armored vehicles and aircraft – more and more massive. In early June, they were finally convinced that Russia does not directly intervene and let the winds. 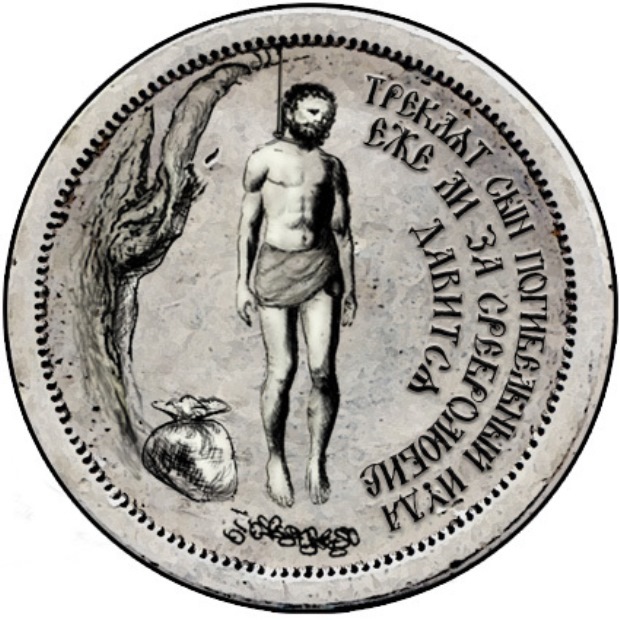 The first massive attack in the Slavonic was the second of May. Next – using all forces and weaponry – tanks and armored vehicles – they held June 3rd. Between these attacks were fighting, local skirmishes. June and July were the most severe. If in April and May all went on the increase, that is, to expand the territory of the uprising, we gradually put under control settlements Donetsk Republic, spreading movement, in June, we started to recede. Us from all sides began to draw, enemy forces enormously superior in all respects. And the enemy has become the motivation for military action. Start of fire propagation. And further, the higher the motivation increased. Battalions of the National Guard began to arrive on the battlefield. They were originally motivated, considered the enemy, that is us, as Moscow’s mercenaries. They were confident. that we are all sent from Russia. And the fact that we Slavyansk 90% were local, donbassovtsy not even want to believe. In June and July, when the aid was extremely small, the enemy drove the huge forces. Generally the increase was not comparable forces. For example, to us during this time came to 40 volunteers, and 80 came to the enemy machines. What’s in them – is another question. But in each machine – a minimum of man. You talk about the phase when the left of the Slavic in Donetsk? Yes. In that phase also had two parts. 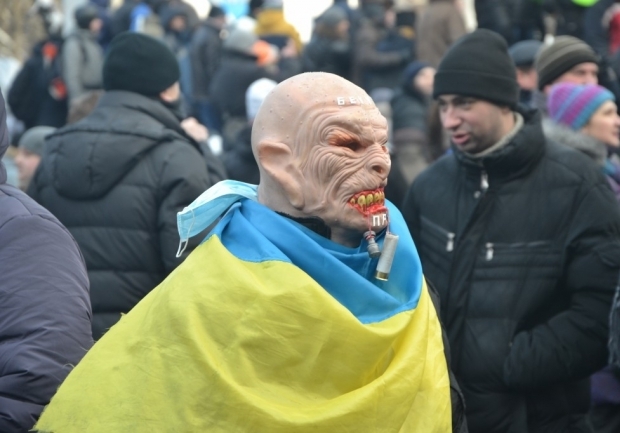 When we came out of the Slavic in Donetsk, this phase was complete confusion of the Ukrainian side. They had fully registered the script, and we do not fit, mixed them all. And suspiciously smoothly everything went at them in this scenario. Very suspicious. As for the situation with Slavic …. After the Ukrainian side broke through the front under Yampil, we were already hanging by a thread, plug the hole between me and think it was impossible, for it was not strong enough – at least needed a team. And we did not have a reserve. And when they took Mykolaivka, we do not have any chances. Would have a chance, if we put massively equipment, weapons. I had three tanks, one of them was completely defective, he did not fire a single shot. Only two tanks were combat-ready. With their help, we smashed one checkpoint. But immediately after the defeat of the enemy roadblock at all checkpoints set of four tanks. In Slavyansk ukrov have had seven blocks, and each – four tanks. Any block ukrov technical armed and largest was the hardest Slavic garrison. At the end of the siege, I had 9 broneedinits, including these two tanks and the enemy on every block – seven or eight units, including four tanks. And I had two alternatives: either to sit in a full siege without supplies or out. Prior to this, the supply to the field the road runs. And when the enemy took Mykolaivka, we are left with a field road, but they cut it if we broke the night on this road, it is already the afternoon they had a post. Thus, embodiments. Sit in the siege. Ammunition for small arms on good fights I have enough for two days. On average intensity – for a week. After fighting under Mykolaivka left me 8 mortars 57 minutes – less than 10 minutes on the mortar. There was not enough and everything else: on heavy weapons lacked ammunition, worst of all with anti-tank weapons. Fights were serious, spent much, and replenishment has been reported. It was all on July 5. “Vacationer” came after 40 days. We have before their arrival did not last. We would not have enough food. And most importantly – the Ukrainian army did not go to the contact battle. When we are forced upon contact fight, then they were losing. And they have taken since Yampol tactics advancing from line to line, throwing forward without infantry armored vehicles only. Before armored vehicles went barrage. If the armor met with resistance, she departed. Again barrage. Then again, armored vehicles. Again barrage – and again technique. As a result, they began to Nikolaevka methodically destroy. Struck “hurricanes”, “city”, the heavy artillery. Nobody expected such a massive bombardment. Some five-story building in the city is simply formed. Actual civilian casualties we do not know – they are huge. After this, the enemy just walked Mykolaivka, and I had to bring the remains of the garrison. It was clear that the same thing happened in Slavic – already without pity his thunder. But I could not answer them because there were no shells. They would have fenced with barbed wire, surrounded by mines, as they did with others, taking them into the ring. And would wait when we’ll die of hunger or, or climb a breakthrough. A breakthrough in such conditions would be accompanied by huge losses, and it is unknown whether or not to succeed. But Slavyansk was the core of our team – and a half thousand people, of whom more than a thousand – fighters. 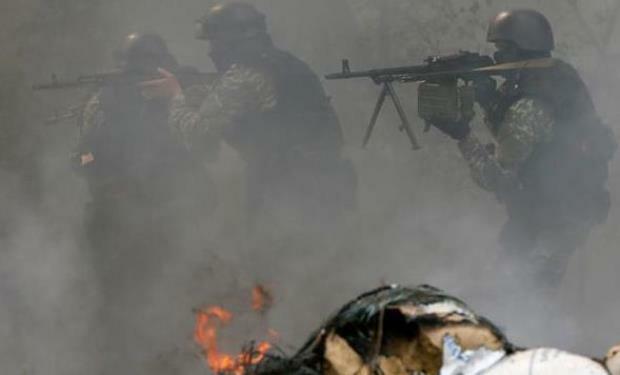 In Kramatorsk were about 400 fighters, Kostyantynivka little more than a hundred, fifty Druzhkovka, in other areas of small garrisons on 20-30-50 people. And I knew that from the outside to me, no one will break. Or “Hold” or “East” I did not obey. In Bezlera that Gorlovka based, at that time there were about 350-400 people. If I could not break the ring with his fifteen hundred, then at least it is something the more I could not. It turned out that if I stay in the siege, then after a while I will impose ukry, then start taking a new city by point. That, in fact, began: I did not have time to go already Artiomovsk captured, where they have their man was. And one day completely cleared the Artiomovsk. At a time when the output of the Slavic, was already on the second environment with cutting off completely Kramatorsk, Druzhkovka, Konstantinovka. This is the way of why I came out of the Slavic, did not defend Kramatorsk: there is also no ammunition. Given the deep penetration of the enemy to Artiomovskiy (he already went to the Gorlovka practically in our hinterland was), cling Kramators’k did not make sense. We still would have won three or four days, but the result still would go. Any breakthrough, especially – unorganized, accompanied by losses. Despite the fact that Slavic we left very organized, we have all the armored group died. A tragic accident. They have been together with artillery, to distract the attention of the fire from the place – from the outskirts of Slavyansk. Then, skipping past all the car column, the last to leave – bringing up the rear. But then load the human factor, and armored group went on a line break. Not to create a flea market, we have all been divided into six columns. Each column was leaving an interval of half an hour. I made a serious mistake, which came in the second column, and did not stay until the end. I had my reasons: Kramatorsk I immediately turned headquarters. But he had, of course, the last to leave. This would have happened if I was present at the site. And so it is possible to me to say that the fainthearted, hastened to jump. In general, our losses could be much higher. But the Ukrainian side at night to fight never liked, so we took full artillery, as well as 90% of infantry units and rear. We in the ranks were 11 mortars and two “Nona” were on the move. Famous “Nona” had to leave because she though it ukry never knocked out, all was in splinters. Due to wear and tear in her left undercarriage. She always dragged back and forth at the end of the gun and went out of her system. As the soldiers joked Ukrainian units that moved us, she in her life did not shoot as much as in Slavyansk. So – armored group went directly, and it all burned. Blocked the road. The first tank was blown up by mines, the second tried to go round – fell into a ravine. And the rest were shot grenade launchers. Some people survived – jumped out, broke. If just came appliances – could somehow act, but the whole armor burned. In Kramatorsk I had three infantry fighting vehicles and two APCs. It’s too little – against us were two mechanized battalion tactical groups and a tank battalion. And if we are able to operate in the building, then resist the enemy in the open country could not. In our Yampol fortified broke one day, despite the fact that we dug in there were pillboxes, bunkers. We have a shortage of anti-tank weapons – there were no anti-tank gun. Whether then at least one anti-tank gun, at least one “Rapier” is not broke through our defenses, they would, despite the artillery preparation. But with some “bezotkatkami” we could not fight. I knew that taking the fight on open ground – only to lose people. You said that your opponent out of the Slavianska was totally unexpected. Yes, he discouraged them. After all, I had ordered categorical – not hand-slavic. And when I said that is going to come out, I repeated several times ordered not to come out to defend Sloviansk to the last. “You certainly deprotected defending Slavic”. Ask, “What will?” Silence. And I – a thousand people and thousands of their family members. Put them I had no right. So I decided to break. Here are some more time. When I was in the Crimea during the Crimean events, visited the 35th battery. Powerfully impressed me. Roan – is brilliant, he regained almost all their own. No less impressed by the fact that all the commanders Ukrainian Sevastopol Defense: all admirals, generals, pilots – .Ostavili fled for himself commanders of regiments, battalions. Those killed with the soldiers. And when I was in Slavyansk, decided, or I do not go out at all, or I’ll go with the whole garrison. I decided to go out and find it right. Deeply convinced that if we did not come out of the Slavic, then could not have retained and Donetsk. When we entered the Donetsk – everything there was great. Sat Kiev mayor, police department is still subordinated to Kiev – a classic dual power. The city was not at all prepared for the defense. Checkpoints are equipped with bad roads are not closed, you can go to have whatever you like. And the forces there were very few, they were fragmented, scattered, no one no one obeyed: Detached army was Russian Orthodox, separately – the battalion “Vostok”, separately – “Hold.” Each unit defended their neighborhood, unified management was not. The problem was not the point, but the fact that the south was almost engulfed in Donetsk, the enemy occupied Amvrosievka. In principle, it has cut us off from the border. DNR was completely under the control of the enemy. And most of the LC was under the control of the enemy. Acted only item – Izvarino, which moved one of my mouth from Kramatorsk, and they have greatly increased defense there. And just to Donetsk eventually cut off all of the miner, agglomeration Taraevsky-Shakhtarsk Anthracite. On that site was just a few not very powerful roadblocks and Saur-Tomb. And among them were huge holes where you can enter. Ilovaysk was empty – there was no garrison. In Ospina was no garrison or roadblocks. Arriving in Donetsk, I left only in headquarters commandant company. One battalion broke in Petrovsky district – the south-western tip, which was empty. The remaining forces, and Kramatorsk, and Slavic, were brought to the team, divided into three battalions and Reconnaissance. They were immediately thrown on Ilovaysk, pockmarks. And I formed the front line. It is because of its parts. Because the “Vostok” I did not obey. On personal contacts with them managed to establish cooperation. They defended Yasinovataya district, district Avdeyevka, sand, Karlivka. On Karlovka hodgepodge was: first, there were people Bezlera. Then they left, I had to send his back. Then I ordered the retreat, break out, because they cut off from us, there was no point surrounded by two companies lose. If we had not formed the southern face, I think that everything would be over very quickly. If we stayed in Slavyansk, then a week later, after a maximum of two, fell to Donetsk. And coming, we held forty days before the arrival of Donetsk “vacationers”. Although the last few days were just desperate. When we came out of Donetsk, then try corridors on Russia in the area of ​​Marinka, Kozhevina, brow. At the same time fought their corridors to supply and cut off Yakov all the enemy’s forces. We kept a corridor with very heavy losses, lost color Third assault battalion in these battles. When we break through the corridor, in the battles of Marinka lost in killed and wounded 120 people in two days – mostly by artillery fire from air strikes. Killed were more than 30. For me it is huge loss. And at the moment of breakthrough “vacationers” I was a battalion cap is cut into two parts: the part of defending in the snow, and the part with the reconnaissance, was pressed against the edge, cut off. Besides, I always had to withdraw from the company in Donetsk, throw on other sites. For example, the first company of my miners and antitank platoon had to throw in Debaltseve. Then the same thing had to do with the red beam. Then the fighting started under Ilovaiskaya. At the time of the breakthrough we were separated so that I and the military police went into battle – in Shahtersk fought. In Donetsk, from our Slavic brigade remained virtually only one battalion of two companies, which covered the Petrovsky district. Battalion Kamenska also almost all gone from Donetsk. And left rear: supply, commandant company, which mainly consisted of old and untrained, the combat value of which could only be in the city in street battles, and not in active combat. Some provisions were in “Hold” and “East”, but “Stronghold” I obeyed partially “East” did not obey. Reproached me that I was not there navёl order. But I had a simple choice when I went from the Slavic either urgently to form a front against the enemy, or to organize a coup. But Donetsk at the time was quite peaceful city. People sunbathing, swimming, athletes trained people in a cafe drinking coffee. As in Moscow in the summer, and in Donetsk was. And I have no one understood. Although my soldiers were eager to arrest all those rear, to disperse. But I understood: it is necessary to deploy a civil war – there is something all of us and slam! I decided that a bad peace is better than a good war, and deliberately left out of it. Have been in this critical situation and intention to withdraw from Donetsk, forces were unequal something again? I have the same charge that I wanted to leave Donetsk. I told him honestly at some point, I stopped believing that help will come from Russia in general. Just stop believing! And no one could I guarantee it. Critical moment for me, as commander, was at the time a breakthrough in Shahtersk. When they knocked us out Debaltseve and just reinforced column of the 25th Brigade went to the Ukrainian Shakhtarsk, entered the city. When they took Debaltseve, I already knew that the next breakthrough will make on Shakhtarsk. I took off the front, that is isolated from other battalions, two companies. And they stood on the loading. And at a time when the enemy entered the Shakhtarsk, one of my company moved there, and the other was on the loading drive there. Accordingly, immediately after that, I took two more companies, then another one, sent back armored group “Hold,” that is created grouping. At the same time I was laid bare Donetsk. Because I was sure that if the enemy and finds itself in Donetsk, here on the streets we somehow it will delay and pass Shakhtarsk – meant completely lose everything. Since we had a semi-guerrilla army, we were loaded long. Moved too long. All volunteers – family, they were removed from the Slavic. And we are only partially managed to forestall them. One company still entered Shakhtarsk and gave him to take. But ukry cut the road between the miner and Thorez. Then they were off this road barely beat. Fights have been a whole week, the King commanded – Kononov. That’s why I supported his candidacy for the post of defense minister – as a battalion commander, he showed himself very well. He had a reinforced battalion. Four Slavic company, my company of military police, armored group “Hold” batteries … all this he normally maneuvered. Knocked the 25 Brigade, crushed it with a fairly small losses on their part. At a time when the enemy cut the road between Miner and Teresa, I have come a psychological crisis, I started thinking about what to do, thinking of transferring headquarters in Shakhtarsk or snow and prepare the evacuation of Donetsk. Because he knew that if aid is not, then you should at least save people. You do not have the time characterized as psychological change. I followed closely the processes, the dynamics of your performance and maybe the dynamics of your destiny. And I think that you did everything correctly. Did everything right! Based on the real balance of power, otherwise you could not do that. On the other hand, everything that you have done – is messianic feat. Why do I say that the fracture was? Because at the time I ordered the cook to the headquarters of coagulation, all shtabnikam loaded. People do not discuss my orders because I believed. And I myself went to Shakhtarsk forward. But at this point the road was cut. I spent the whole day there and talked with the men looked. During the day, I almost did not manage Miner’s Brigade, saw that the King of normal coping and intervene with the commander did not want to. By the evening, talking to people, I decided not to leave Donetsk, although this is not planned to leave first Donetsk and Gorlovka. And due to Gorlovka garrison cover northern FAS Donetsk and line on Shakhtarsk. Because we have there was a large, undisguised hole. But there still played a role that was Gorlovka Boatswain, and he defended Gorlovka. Boatswain went absolutely right: it is my order to prepare the evacuation did not obey. And the next day the order was canceled by itself. I realized that in the situation that has developed, we can arrange to withdraw its troops from Donetsk neither, nor from Gorlovka. We cut off the last road and field roads are very uncomfortable. I personally presented the evacuation of Donetsk and Gorlovka – columns of refugees were shot on the roads from all sides. Understand that it is better to take the fight in Donetsk, than all these breakthroughs. In the evening I returned to Donetsk and has, despite the gravity of the situation, did not plan any transfer of staff, nothing. This I answered the question, whether there was a plan for Donetsk. Plan was not putting in Donetsk, and the intention of leaving Donetsk as an option to output and rescue, effort and money. Alignment of the front and roll Mariupol – it’s only the “vacationers” do, or militias also participated? Separate divisions militia were subordinated to them. But mainly in Mariupol advancing “vacationers”. When they left, remained precarious and the front line, and opportunities. Firstly, Mariupol was empty, there was no two days Ukrainian military could take without a fight. But there was an order not to occupy. Not just the order to stop, and the order in any case does not hold. Just Volnovakha could take. Why do I say that events similar to events in extreme: there Yugoslav People’s Army stopped just a step to a decisive victory. Igor Ivanovich, how do you do in the war dived? I was a counselor in the Crimea Aksenov. He is a man of great charisma, clever, competent, sane, talented. I commanded the only unit of the Crimean militia: a special purpose company, which carried out combat missions. But after the battle of the cartographic part, when two died (and I commanded this fight), a company was disbanded, people went home. When events took place in the Crimea, it was clear that one Crimea is not over. Crimea as part of New Russia – a huge acquisition, the jewel in the crown of the Russian Empire. And one of Crimea, cut isthmuses hostile state – not the same. When the Ukrainian authorities broke up before our eyes, in the Crimea constantly arriving delegates from areas of New Russia, who would like to repeat at what was in the Crimea. It was a clear desire to continue the process at all. Delegates at planned uprising and asked for help. Aksenov, because he has such a load fell, it is 20 hours a day working, asked me to engage in the Northern Territory. And he made me an adviser on this issue. I began to work with all the delegates: from Odessa, Nikolaev, from Kharkov, Lugansk, Donetsk. All had full confidence that if the uprising will develop, Russia will come to the rescue. So I gathered nerazehavshihsya fighters company, to recruit volunteers. 52 people gathered. In Slavic came quite by accident. We needed a middle city. 52 people – a force more or less in small settlements. And I was told that in the Slavic strongest local assets. This option we evaluated as the best. How overgrown people subdivisions your movement? When we arrived in Slavic, on the basis of a person we met 150-200. And they participated in the storming of the ATC with us. In the police department had a lot of weapons – a hundred rifles and pistols 100-150. People immediately armed. Part, however, pilfered. 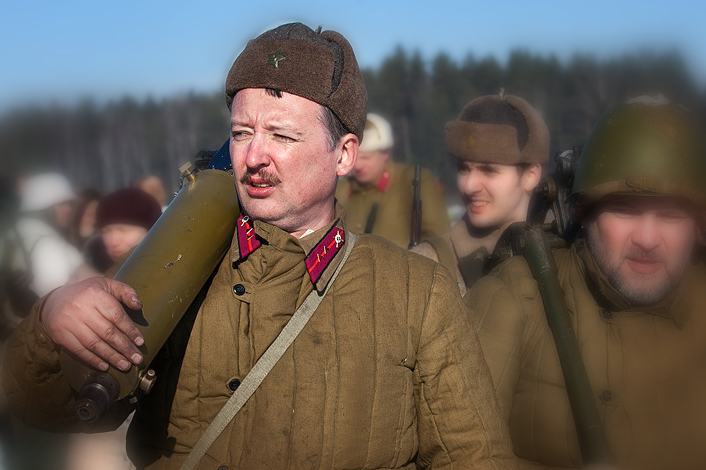 The next day we took Kramators’k: I went there Cossack division – 30 people. And off we go. Then it all depended on the availability of weapons. The first months were a lot of volunteers, but we had nothing to arm. When the fighting began, the real blood flowed, the number of volunteers poumenshilos. Frankly, I’m not going to in any way that is not involved in politics, but even light. In Crimea, I also did a lot. Negotiations on the surrender of Staff Navy I started going there alone, and talked with all the staff. But the fact that I never lit up. Yes, somewhere in the photos some colonel. I’m not saying that in reserve or retired. To solve my tactical tasks was beneficial to me all considered valid. However, I never cried that I act. Simply said – Colonel. And they themselves think out. Well, that’s thought, some colonel. What I retiree knew a few people. And others thought they wanted. Neither the name, nor the name of my not know. So I planned to behave in Slavyansk. Was going to find a charismatic leader and help as an advisor. The first time I did so. Therefore Ponomarev flashed all the time. He – People’s mayor. was very active. Was useful in its time. Then things went differently. And I have not found anyone who could move as a political leader. And then just come to light up the team: come Denis Pushilin its fully support. Although I already burned all the bridges, no documents have been there all the fighters left the documents when crossing the border, but it is possible to cut off the retreat as such at all. As soon as I without a mask, without “Balaklava” appeared on TV with Pushilin, first of all, everyone understood who the shooter. Although previously knew that really I command, interception has already been published, was my identikit, but then I saw firsthand. Immediately I figured, was taken to an apartment in Moscow. I did not consider this point: not even have time to notify relatives. Relatives I do in the course never introduced: that I, where, how. As a result, I have suffered the loss of a personal level because of this exposure, because I can not live with myself, to enjoy their own library. Not to mention how many survived my relatives who learned everything on TV, too. 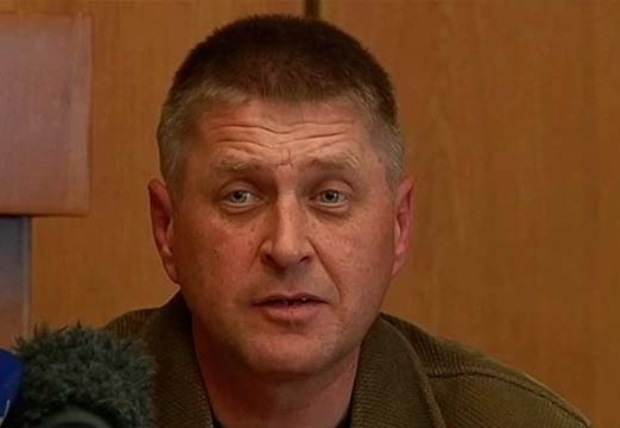 Throughout the war in Slavyansk I had a military dictatorship. And then I would not climb. Do you think that your experience – a purely military, not a political one. You were the Minister of Defence, the brigade commander? In Slavyansk was a battalion, brigade was not. The first Slavic volunteer battalion. It was a banner, standard. Prior to the release of the Slavic I actually did not carry out any effect on the Donetsk as defense minister. I gradually been building front. I really obeyed Brain, I sometimes put him problems. In marching against me he did not obey, but tactically. operational – obeyed. I saw his front line by line Lisicansk-Krasny Liman. Garrison Sloviansk obey, obey Kramators’k, Druzhkivka-Kostiantynivka. For a while I obeyed and Horlovks, Bezler because I helped him – sent a detachment to the cleaning of the city, without my squad, he would not have taken control. I think everything that happened then in Slavic and Donetsk with you, one way or another connected with the restoration of the state. And you do not just involved in the restoration of the military organization, but also the state as a whole. That is, you had consciously or unconsciously political role, you stand at the origins of the establishment of the state. At that moment I knew perfectly well that alone Donetsk and Lugansk fight against ukrov can not. Even more so – in the absence of its own military industry, effective government of the local. And I originally came from the fact that repeated Crimean option – Russia will enter. It was the best option. And people in this endeavor. Nobody was going to play for Luhansk and Donetsk republic. All were initially – for Russia. And the referendum was conducted for Russia, and went to war for Russia. People wanted to join Russia. Russian flags were everywhere. I was at the headquarters of the Russian flag and all. And we are perceived by the population under the Russian flag. We thought comes the Russian administration, the rear will be organized by Russia and will be another republic within Russia. And about some nation-building, I thought. And then, when I realized that Russia us to not take myself (I can associate with the host), for us, this decision was a shock. We have nothing definitive, that’s the thing. War is six months, and we still do not know, “edyna” Ukraine without “edyna” Ukraine. What is more important to us: gas supply, or the Russian population in the Southeast? Would like to see and then, and then. But it is impossible. And if not, then after all, what is more important? Reported to me that day in Donetsk bombed. Every day send complete lists of hits: where horrible, where a projectile. That is, the day before, with two in the morning to five in the morning just carried the city. Spacing! One day, from early morning until late at night – ran down. A little more – and turn in Stalingrad. And we will haggle over a hundred for oil. And it turns out that in trade relations with Ukraine, we are working to help her survive and fight at the front. But the trigger war still hit me. If our party does not crossed the border, in the end everything would come to an end, as in Kharkov, as in Odessa. It would be several dozen killed, burnt arrested. And this would have ended. A flywheel is almost a war that still goes on, ran our unit. We mixed all the cards on the table. All of them! And from the very beginning, we began to fight in earnest: to destroy the subversive groups “pravosekov.” And I am personally responsible for what is happening there. For what is still shelled Donetsk – I am responsible. For the fact that the Slavic left, of course, I am responsible. And because he did not released, I also have a responsibility. But, because “in the absence of a stamp, write a simple” – we create a movement that at least so humanitarian support militia. To say that we provide them, you can not. But we really help. Half the army now dressed in winter clothes, which we put them. Our assistance goes to the troops. And to provide humanitarian assistance to the population is only capable of the Russian state. Only the state! From state reserves should be taken. With the money that is going to, we can help militia, families, wounded, but that is not all. Looking back on your life, do not you think that all the fractures in your life, throws, war – is the result of some mysterious logic that lies not even in your nature, and destiny? But the situation arise by chance or logical? To the mess that was formed after the collapse of the Soviet Union, could be anything. In war you meet these people who have been and even more experienced. I was under the gun cameras. But there are a huge number of people who deserve much more. And passed more and more talented in many ways. I have fought the officer, who knows three languages ​​before Donetsk passed five wars. Absolutely unique destiny. But for some inaccuracies of these people are under a bushel. Maybe their time more will come. This mystic – a real accident. But mysticism has its own field. It exists somewhere, somewhere realized. And realized not in the stars, and in human relations. You do not try on political caftan? Very want me to try on the coat. But honestly – I chore never liked. I – scout trooper, as Denis Davydov. He was always bored by regular service. Though promoted to the rank of generals, best manifested itself as a partisan. – Human breakthrough, always go to the island. The greatest successes that I do best – where he had to go first to break through, to engender, to start building. Next must come the other – to build. This – at first. And secondly, I do not possess the necessary skills. If you go into politics, I could show itself is a turning point. Routine me contraindicated. I myself get bored, lose interest. We now have a relatively stable situation. Our policy is based on the principle that smeared – welcome. There is a hook on you – so you can work with you. And now an honest man in politics has nothing to do. I hope that something will change. Still, the war, it makes a big difference. Here’s military and engaged in politics – give power Guchkov, Shulgin. A Tukhachevsky? Failed to do anything. Zhukov was the host country, the power in his hands was absolute. He handed it to Khrushchev. The military secretly laid the subjugation function. Latin American military in the ground and are committed to each other’s overthrow. A world wars are not won. And the Turkish military? No, there are other military traditions. Russian military ever really get the power, gave politicians who then with them and also dealt. I’m not entirely military in the classical sense. The command of this kind to me rather casually. I – the secret services. As the secret services, you have the chance to become a major politician. Politics now – it’s manipulating elections. Lie on the screen, lie everywhere. Superior quality policy – to spin like a weathervane. I can not turn around like a weathervane, and do not want to be able to. I want to die an honest man. And I will not lie to any screen in any way. If I can not honestly say it is better to say nothing. I can work around any theme, nothing more. Lie directly, I will not. Categorically do not want to. In today’s political system has no place for me, I understand it very well. Maybe at this moment. But the story is changeable, especially Russian history. It has great dynamics. I feel the whole skin that time, these peace and truce completely illusory. The most expensive in humans – it’s reputation. You have a great reputation. She is now trying to drown. Do not pay attention. Flex that you hang, laughable. Maybe you will be the temptation to be magicians who want to enchant you. Wait until he blow pipe again. Jericho pipe is always ready, do not worry. The main thing is that the copper is not sounded. Brass you are through, leaving Jericho. Strelkovs took his place in Russian history. He did what he could do. And that, dear Igor, a precious resource with you our historical reality. Затем “Правый сектор” начал забрасывать к нам диверсионные группы — начались перестрелки. Ещё Нацгвардии не было — только “Правый сектор”. Украинская сторона очень осторожно себя вела, шаг за шагом прощупывала, как себя поведёт Россия. Первый месяц не было обстрелов города. Первый обстрел Славянска — в конце мая. До того они обстреливали сёла, но сам Славянск не трогали. Но по мере того как они понимали, что Россия не отреагирует, обстрелы становились всё более сильными, действия бронетехники и авиации — всё более массированными. В начале июня они окончательно уверились, что Россия напрямую не вмешается, и пустились во все тяжкие. Первая массированная атака на Славянск была второго мая. Следующую — с применением всех сил и средств вооружения — бронетехники и танков — они провели 3 июня. Между этими атаками были бои, локальные стычки. Итак, варианты. Садиться в осаду. Боеприпасов к стрелковому оружию на хорошие бои у меня бы хватило на двое суток. На средней интенсивности — на неделю. А после боёв под Николаевкой у меня осталось на 8 миномётов 57 мин — меньше, чем по 10 мин на миномёт. Не хватало и всего остального: на тяжёлое вооружение не хватало боеприпасов, хуже всего было с противотанковым вооружением. Бои были серьёзные, израсходовали много, а пополнения не поступало. Это всё было 5 июля. “Отпускники” пришли через 40 суток. Мы бы до их прихода никак не продержались. У нас бы и продовольствия не хватило. А самое главное — украинская армия не шла на контактные бои. Когда мы сами навязывали контактный бой, то у них были потери. А они со времён Ямполя предприняли тактику: выдвигаясь от рубежа к рубежу, бросали вперёд только бронетехнику без пехоты. Перед бронетехникой шёл огневой вал. Если бронетехника наталкивалась на сопротивление, она отходила. Снова огневой вал. Потом снова бронетехника. Опять огневой вал — и опять техника. В результате Николаевку они начали методично разрушать. Наносили удары “ураганами”, “градами”, тяжёлой артиллерией. Никто не ожидал такого массивного обстрела. Некоторые пятиэтажки в городе попросту сложились. Действительные потери мирного населения мы даже не знаем — они огромны. После этого противник просто обошёл Николаевку, и мне пришлось вывести остатки гарнизона. Ясно было, что то же самое повторится в Славянске — уже без всякой жалости его громили. Но я им ответить не мог, потому что снарядов не было. Они бы нас огородили колючей проволокой, обложили минами, как они сделали с другими, взяв их в кольцо. И ждали бы, когда мы или с голоду сдохнем, или полезем на прорыв. А прорыв в таких условиях сопровождался бы огромными потерями, и неизвестно, удался бы или нет. А ведь в Славянске было ядро нашей бригады — полторы тысячи человек, из них больше тысячи — бойцов. В Краматорске было около 400 бойцов, в Константиновке чуть больше сотни, в Дружковке пятьдесят, на других направлениях небольшие гарнизоны по 20-30-50 человек. И я знал, что извне ко мне никто не прорвётся. Ни “Оплот”, ни “Восток” мне не подчинялись. У Безлера, который в Горловке базировался, на тот момент было около 350-400 человек. Если я не мог разорвать кольцо со своими полутора тысячами, то уж он-то тем более не смог бы. Получалось: если я останусь в осаде, то через какое-то время укры обложат меня, после этого начнут брать населённый пункт за пунктом. Что, собственно, и началось: я и выйти не успел, уже Артёмовск захватили, где у них свой человек был. И за один день полностью зачистили Артёмовск. У нас в строю находилось 11 миномётов и две “Ноны” были на ходу. Знаменитую “Нону” пришлось оставить, потому что она, хотя укры её ни разу не подбили, вся в осколках была. Из-за износа у неё вышла ходовая часть. Её всё время таскали туда-сюда, под конец и пушка вышла у неё из строя. Как шутили бойцы украинских подразделений, которые к нам перешли, она за всю жизнь столько не стреляла, сколько в Славянске. В Ямполе наш укрепрайон прорвали за один день, несмотря на то, что мы там вкопались, были огневые точки, блиндажи. У нас нехватка противотанкового вооружения — не было ни одной противотанковой пушки. Будь тогда хоть одна противотанковая пушка, хоть одна “Рапира”, не прорвали бы они нашу оборону, несмотря на всю артподготовку. Но с одними “безоткатками” мы не могли воевать. Я понимал, что принимать бой на открытой местности — только терять людей. Игорь СТРЕЛКОВ. Да, он их обескуражил. Ведь у меня был приказ категорический — не сдавать Славянск. А когда я сообщил о том, что намерен выйти, мне несколько раз повторили приказ не выходить, оборонять Славянск до последнего. “Вас обязательно деблокируют, обороняйте Славянск”. Спрашиваю: “Чем поможете?” Молчание. А у меня — тысяча человек и тысячи членов их семей. Положить их я права не имел. Поэтому я принял решение на прорыв. Глубоко уверен, что если бы мы не вышли из Славянска, потом не удержали бы и Донецк. Когда мы вошли в Донецк — всё там было замечательно. Сидел киевский мэр, УВД по-прежнему подчинялось Киеву — двоевластие классическое. Город совершенно не был подготовлен к обороне. Блокпосты оборудованы плохо, дороги не перекрыты, можно были зайти как угодно. И сил там было крайне мало, они были раздроблены, разбросаны, никто никому не подчинялся: отдельно была Русская православная армия, отдельно — батальон “Восток”, отдельно — “Оплот”. Каждый отряд оборонял свой район, единого управления не было. Игорь СТРЕЛКОВ. Именно из своих частей. Потому что “Восток” мне не подчинялся. На личных контактах, с ними удавалось наладить взаимодействие. Они обороняли район Ясиноватой, район Авдеевки, Песков, Карловку. На Карловке сборная солянка была: сначала там были люди Безлера. Потом они ушли, мне пришлось туда посылать своих. Потом я приказал отходить, прорываться оттуда, потому что их отрезали от нас, не было смысла в окружении две роты терять. Если бы мы не сформировали этот южный фас, думаю, что всё бы закончилось очень быстро. Если бы мы остались в Славянске, то через неделю, максимум через две, Донецк бы пал. А выйдя, мы сорок суток держали Донецк до прихода “отпускников”. Хотя последние дни были просто отчаянные. Когда мы вышли из Донецка, то пробили коридоры на Россию в районе Марьинки, Кожевино, Бровки. Одновременно пробили себе коридоры для снабжения и отсекли в Яково всю группировку противника. И на момент прорыва “отпускников” у меня батальон КЭПа был рассечён на две части: часть оборонялась в Снежном, а часть, вместе с разведбатом, оказалась прижатой к границе, отрезана. Какие-то резервы были у “Оплота” и “Востока”, но “Оплот” мне подчинялся частично, “Восток” вообще не подчинялся. Меня упрекают, что я не навёл там порядок. Но у меня был простой выбор, когда я из Славянска зашёл: либо срочно формировать фронт против противника, либо устраивать переворот. Но Донецк на тот момент был совершенно мирный город. Народ загорал, купался, спортсмены тренировались, люди в кафе пили кофе. Как в Москве летом, так и в Донецке было. И меня бы никто не понял. Хотя мои солдаты рвались всех этих тыловых арестовать, разогнать. Но я понимал: стоит развернуть гражданскую войну — тут-то нас всех и хлопнут! Я решил, что худой мир лучше доброй войны, и сознательно ушёл от этого. Критический момент для меня, как командира, был во время прорыва в Шахтёрске. Когда они выбили нас из Дебальцево, и просто усиленная колонна 25-й бригады украинской пошла на Шахтёрск, вошла в город. Когда они заняли Дебальцево, я уже понял, что следующий рывок сделают на Шахтёрск. Я снял с фронта, то есть выделил из других батальонов, две роты. И они уже стояли на погрузке. И в момент, когда противник вошёл в Шахтёрск, одна моя рота двигалась туда, а другая была на погрузке двигаться туда. Соответственно, сразу после этого я снял ещё две роты, потом ещё одну, отправил туда бронегруппу “Оплота”, то есть создал группировку. При этом обнажал я именно Донецк. Потому что был уверен: если противник и сунется в Донецк, то тут на улицах мы как-нибудь его задержим, а сдать Шахтёрск — означало полностью всё потерять. Бои были целую неделю, командовал Царь — Кононов. Поэтому я и поддержал его кандидатуру на пост министра обороны — как командир батальона он показал себя очень хорошо. У него был усиленный батальон. Четыре Славянских роты, моя рота военной полиции, бронегруппа “Оплота”, батареи… Всем этим он нормально маневрировал. Выбил 25-ю бригаду, разгромил её с достаточно небольшими потерями со своей стороны. Александр ПРОХАНОВ. Выравнивание фронта и бросок на Мариуполь — это всё только “отпускники” делали, или ополченцы тоже участвовали? Игорь СТРЕЛКОВ. Отдельные подразделения ополчения были им подчинены. Но в основном на Мариуполь наступали “отпускники”. Когда они ушли, зыбкая осталась и линия фронта, и возможности. Как только я без маски, без “балаклавы” выступил по телевизору с Пушилиным, во-первых, все поняли, кто такой Стрелок. Хотя и до этого знали, что реально я командую, перехват уже был опубликован, был мой фоторобот, но тут увидели меня воочию. Тут же меня вычислили, повезли на квартиру в Москве. Я этот момент не учитывал: и не успел даже родственников предупредить. Родственников я вообще в курс никогда не вводил: что я, где, как. В результате я понёс потери в личном плане из-за этой засветки, потому что не могу жить у себя, пользоваться своей библиотекой. Не говоря о том, сколько пережили мои родственники, которые обо всём узнали тоже по телевизору. Всю войну в Славянске у меня была военная диктатура. А дальше я не лез. Игорь СТРЕЛКОВ. У нас ничего нет окончательного, в том-то и дело. Война идёт полгода, а мы до сих пор не знаем: “едына” Украина, не “едына” Украина. Что для нас важнее: газовые поставки или русское население на Юго-Востоке? Игорь СТРЕЛКОВ. Но спусковой крючок войны всё-таки нажал я. Если бы наш отряд не перешёл границу, в итоге всё бы кончилось, как в Харькове, как в Одессе. Было бы несколько десятков убитых, обожженных, арестованных. И на этом бы кончилось. А практически маховик войны, которая до сих пор идёт, запустил наш отряд. Мы смешали все карты на столе. Все! И с самого начала мы начали воевать всерьёз: уничтожать диверсионные группы “правосеков”. И я несу личную ответственность за то, что там происходит. За то, что до сих пор Донецк обстреливается, — я несу ответственность. За то, что Славянск оставлен, конечно, я несу ответственность. И за то, что он не освобождён, я тоже несу ответственность. Но, поскольку “за неимением гербовой, пишем на простой”, — мы создаём движение, чтобы хотя бы так, гуманитарно оказывать поддержку ополчению. Игорь СТРЕЛКОВ. Я против любой мистики в этом отношении. Просто считаю, что в каждой ситуации надо поступать — не всегда получается, к сожалению, — правильно: “Делай, что должно, и будь, что будет”. Читаю я тут про все свои многочисленные ошибки и преступления, совершенные в ходе 4-месячного пребывания в Донетчине. Не то, чтобы собираюсь оправдываться, но полагаю целесообразным кое-что все-таки прояснять (в рамках разумного). Поэтому тут можно задавать вопросы чисто по “военно-исторической” части. 1. Единственной своей по-настоящему крупной военной ошибкой, повлекшей тяжелые последствия, признаю поражение батальона “Прапора” в бою под Ямполем. Именно я “цеплялся” за плацдарм на северном берегу Северского Донца, хотя мне неоднократно советовали ( сам подумывал) отвести только что сформированный из новобранцев и маломощный в смысле тяжелого и (особенно) противотанкового вооружения батальон за реку и взорвать мосты. Я же мечтал с данного плацдарма перейти в контратаку на Красный Лиман – как только прибудет тяжелое вооружение (танки и БМП). А они все не приходили и не приходили. Одновременно я получал сведения о том, что противник сосредотачивает крупную бронегруппу и много тяжелой артиллерии напротив плацдарма (в итоге в атаке участвовала целая батальонная тактическая группа мехбригады с танковой ротой, приданными подразделениями спецназа и при поддержке штурмовиков и 2-3 арт.дивизионов, не считая минометных батарей). Но с учетом предыдущего опыта – крайне нерешительных и неповоротливых действий противника – я всерьез надеялся, что тщательно окопавшиеся в сосновом лесу и уже “обстрелянные” (артиллерийским огнем в течение недели) подразделения батальона (чуть больше 200 бойцов при 2 СПГ-9, 3 “Утесах”, 2 АГС-17 и 2 минометах, примерно 10 пулеметах ПК и стольких же РПГ-7, 1 БРДМ-2) смогут выдержать атаку. В том, что это не так, я убедился на собственном опыте, когда приехал на позиции в разгар повторной (после отражения первой атаки) артиллерийской подготовки укров. Мы с Прапором стояли во весь рост, а мимо нас сломя голову бежали ошалевшие от ожесточенного обстрела ополченцы и остановить их не удавалось. Признаться, под такой сосредоточенный огонь (одновременно били гаубицы, “грады” и (прямой наводкой) танки и БМП) мне не случалось попадать никогда ранее. В итоге, уничтожив расчет СПГ-9, противник разнес огнем бетонную баррикаду и прорвался мостам. Батальон Прапора, не смотря на храбрую контратаку группы сплотившихся вокруг него бойцов, был разрезан на две части и рассеян. Хотя потери противника в ходе боя составили не менее 6 бронеединиц (в первом танке погиб сам командир батальона), а в пехоте – несколько десятков убитых и раненых, позиции были прорваны и укры с ходу захватили мосты и плацдарм на южном берегу в районе н.п Кривая Лука. Попытка сбить их оттуда силами выдвинутого из Семеновки пулеметно-противотанкового взвода Моторолы закончилась тем, что взвод столкнулся с украми еще на марше и был сразу же рассеян, как и батальон Прапора. Наши потери убитыми были невелики – всего 5 человек (сначала я их оценивал намного большими), раненых было около 20- 25 человек. Но куда больше мы потеряли дезертирами (в строй не вернулись примерно 60 человек). Потеряны были оба СПГ-9, оба АГС и несколько пулеметов и гранатометов. Но это все было пол-беды. Самое главное – с плацдарма под Ямполем противник спустя неделю начал решительное наступление на охват Славянска, противопоставить которому нам было нечего. Не смотря на то, что вновь собранный под командой Мачете (заменил вторично раненного под Ямполем Прапора) батальон в ходе отступления к Николаевке нанесли украм большие потери в живой силе и технике (а с другой стороны их довольно успешно “трепали” подразделения батальона Мозгового), еще через неделю Славянск оказался в полном окружении, что и решило исход борьбы за него. 2. Хотелось бы остановиться на ситуации со сдачей Карачуна, которая ставится мне в вину. Во-первых, необходимо четко понимать ситуацию вокруг Славянска, сложившуюся ко 2 мая. К этому времени противник сосредоточил ударные группы с бронетехникой (БТР) с трех направлений: с севера, с запада и юго-запада. Я тогда еще всерьез верил, что будет нанесен удар, нацеленный непосредственно на захват города и ставил главной задачей его удержание, для чего у меня имелось на тот момент около 150 вооруженных автоматическим оружием бойцов (еще 40 находились в Краматорске) и 6 трофейных (от 25-й бригады) бронеединиц, из которых только 2 представляли из себя серьезную боевую ценность – БМД-1 и БМД-2. Еще имелось 3 БТРД (машины без башни, на каждой – только по одному (вместо 2 положенных) курсовому пулемету, крайне неудобному в боевом использовании – кто служил – тот знает) и “Нона”, на которой к тому моменту был неисправен замок орудия (в таком виде она нам досталась от десантников). На блокпостах стояли люди, вооруженные, в основном, “дрекольем” и охотничьим оружием – для их усиления я выделил по 2-3 автоматчика. Из противотанкового вооружения имелись только одноразовые РПГ-22 и РПГ-26, буквально накануне закупленные с одного из складов и доставленные к нам из тыла. И их было очень мало. Силы противника были недостаточно разведаны, но на каждом направлении заметно превышали наши оборонительные возможности. В таких условиях я принял решение собрать основные ударные подразделения в кулак в центре города и бросить их в бой на то направление, откуда противник поведет основную атаку. Единственным отдаленным “гарнизоном”, который был полностью вооружен, являлся взвод, занимавший комплекс телецентра – там имелось 12 бойцов с автоматами и 2 подствольных гранатомета + 4 “Мухи”. 2 мая на рассвете противник начал одновременную атаку с 3 направлений – на блокпост “Комбикормовый”, на блокпост “БЗС” и на Карачун. Атаке предшествовала высадка десанта с вертолетов, в ходе которого только что сформированная группа ПВО под командованием “Грозы” сбила 2 вертолета Ми-24, что привело противника в состояние шока и серьезно повлияло на исход боя. Тем не менее, действуя группами по 4-5 БТР при поддержке подразделений спецназа, противнику удалось сбить гарнизоны обоих “северных” блоков (однако блок БЗС был ими к вечеру оставлен). Атака же на Карачун велась двумя волнами: сначала на 4 БТРах (десантники), потом – еще на 4-х. Первую волну защитники отразили автоматным огнем и выстрелами из подствольников – противник понес большие потери потому, что атакующие даже не удосужились слезть с брони. Но ни один из 4 имевшихся одноразовых РПГ не сработал и БТРы остались невредимыми. Защитники были крайне деморализованы данным фактом, а укры, соответственно, огнем БТР сбили их с позиций. При отступлении группа никаких потерь не понесла и вынесла почти все свое оружие, кроме двух автоматов, которые были спрятаны незадолго до того пришедшими к нам бойцами донецкого “Беркута” (автоматы были найдены и доставлены через три дня). Мне задавался вопрос – почему в канун атаки я не поставил на охрану столь важного узла, как Телецентр, хотя бы одну БМД? (до того я регулярно посылал их усиливать гарнизон телецентра). Ответ: в ситуации, когда одной ротой мне приходилось оборонять достаточно большой город, я никак не ожидал ,что противник (имевший огромное превосходство в силах и средствах) ограничится лишь захватом подступов. Я бы на его месте, имея такие силы, попытался бы покончить с любым сопротивлением уже к вечеру (особенно с учетом, что гарнизон на три четверти состоял из необученных ополченцев и лишь “крымская группа” (около 30 человек – остальные ушли в Краматорск) и небольшое подразделение местных “афганцев” представляли из себя какую-то реальную силу. В такой ситуации я стремился иметь свой единственный “козырь” – бронемашины – “в рукаве”. Возможно, что именно наличие у нас бронегруппы и ее неиспользование в бою и стало причиной того ,что противник все-таки не решился входить в сам город. (Ну, если отбросить чисто психологические причины – мы активно распространяли слухи о “нескольких сотнях русских спецназовцев”, засевших в Славянске, а сбитые вертолеты, видимо, только утвердили укров в такой возможности, хотя оба вертолета были поражены только что обученными местными ополченцами). Есть еще один момент – накануне штурма противник активно патрулировал район Карачуна вертолетами Ми-24 и Ми-8 и я опасался выводить броню из городской застройки, чтобы не подвергать ее риску уничтожения с воздуха. Что еще сказать? Если бы у нас было достаточно сил и средств, то мы, конечно, не сдали бы Карачун… Скорее наоборот – мы активно вели разведку (агентурную) Барвенково и Изюма. Но тут, как говорится, “видит око, да зуб не ймёт”.